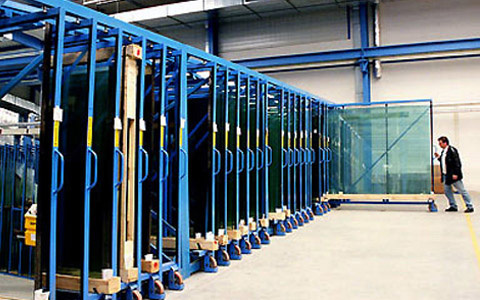 Our company produces trucks for glass sheets, racks for offcuts or frame racks. We are able to fulfill even the most atypical requirements of our customers. Steel frame is welded from jekl profiles with surface form painted in RAL shades. Single frames lined on bearings roll on polyamide wheels. Designed to extend the loading space above drawer racks to store material, typically glass stands or END-CUPs. 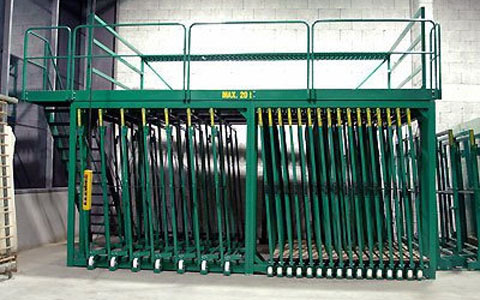 Constructed for transport of END - CUPs up to dimension 2300/3400/200 mm. Thanks to special construction of chassis unit (so-called swing) good handling is guaranteed even with big charge. 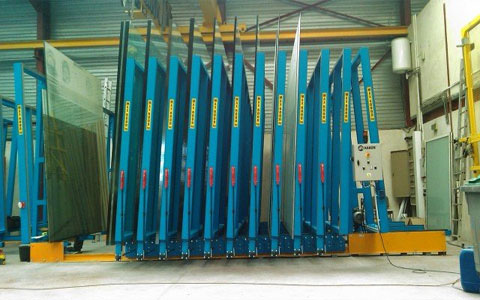 Used for transport of glass sheets on cars or tenders. 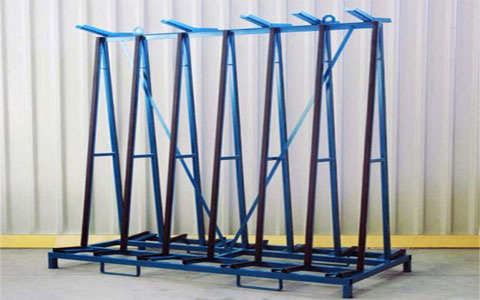 It is possible to transfer the stand by crane by the help of loops, or by hand pallet truck or fork lift. Steel frame construction is welded from Jekl profiles with surface finishing in RAL shades. 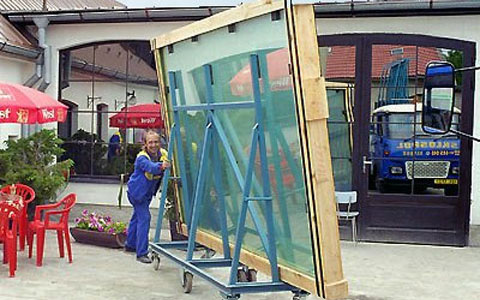 The glass is placed on a construction fitted with 10mm felt. 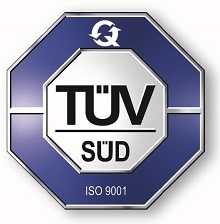 Thanks to our original orientation, we are able to fulfill even the most atypical requirements of our customers. 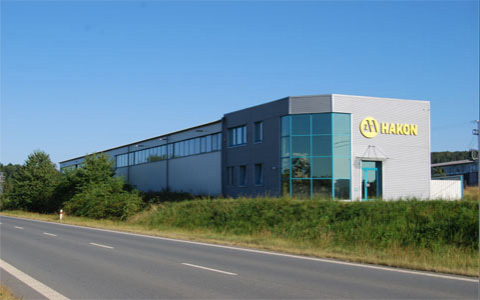 We are a leading Czech producer with the broadest production line, and through a network of sales representatives, our products are exported to 15 European countries. 2019 © HAKON - All rights reserved.